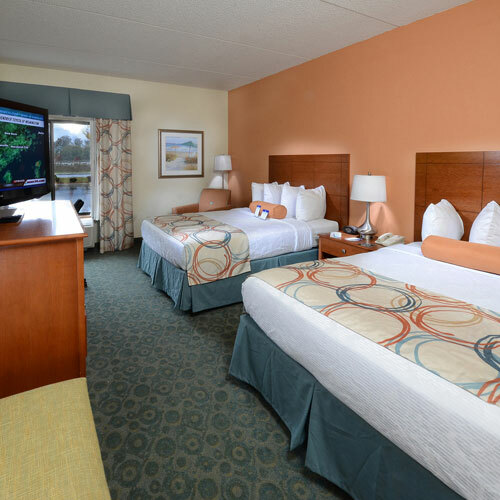 Stylish rooms feature comfortable bedding on your choice of a king or two queen beds, plus good-sized desks and spacious bathrooms. Complimentary hot breakfast is served daily in the lobby. Smoke free premises. 92 units. 4 stories, interior corridors. Jct SR 132, just s on US 17 business route. 5345 Market St 28405.